A simple and lightweight face shield with a high specification. 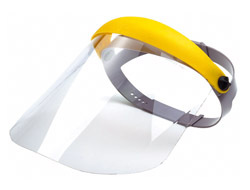 The visor can be quickly flipped-up and down and the headgear is fully adjustable. 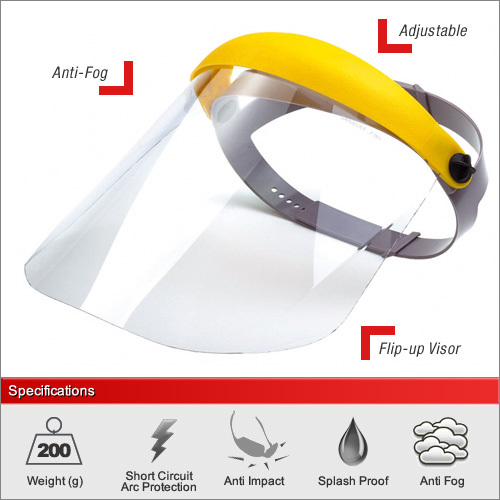 The visor has anti-fog properties and is one of the only face shields on the market to be made from 1.5mm polypropylene, making it resistant to short circuit electric arcs and conforms the the EN166 "8" rating for electrical arcs. It also conforms to categories "3" for liquid spalsh protection and "B" which is protection against medium impacts of up to 120 m/s.